· Insight into emerging risks. · A succinct overview of the Lloyd’s market. 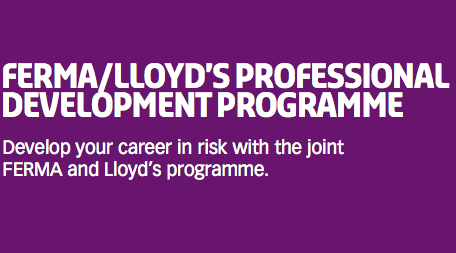 · Lectures on Lloyd’s approach to risk appetite and management. · Exposure and performance management workshops. · International insurance regulations session. · Claims management session with Lloyd’s claims experts. · Networking opportunities with underwriters, brokers and other risk managers.